Why wouldn’t Widows work? It’s directed by Steve McQueen, whose unique, slow-paced style full of long takes held on faces barely able to hide what’s writhing just below the surface so animated Hunger, Shame, and 12 Years a Slave, it stars such acting heavy-weights as Viola Davis, Liam Neeson, Robert Duvall, Michelle Rodriguez, Colin Farrell, Daniel Kaluuya, and etc., and it’s a heist movie. Expectations were high. Early reviews were gushing. What went wrong? Hard to say. 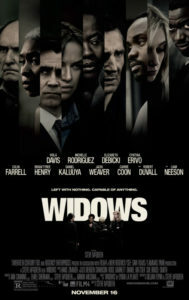 Widows isn’t bad. It’s fine. And that’s the problem. All it is is fine. I rate it one shrug. McQueen’s style, while evident, lacks the kind of powerful long takes of his earlier work. 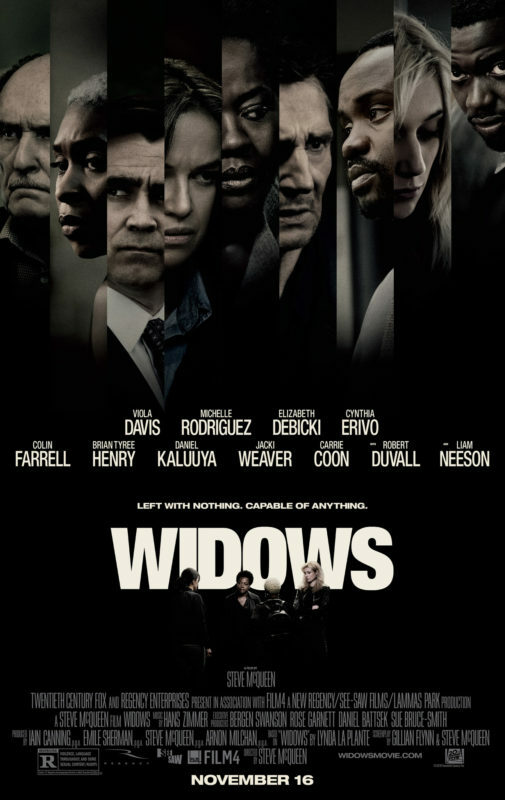 Yet he maintains with his actors an expressionless seriousness that, so effective in his patient character studies, renders the high emotional content of Widows ineffective if not altogether absent. It’s just a bad match of content and style. 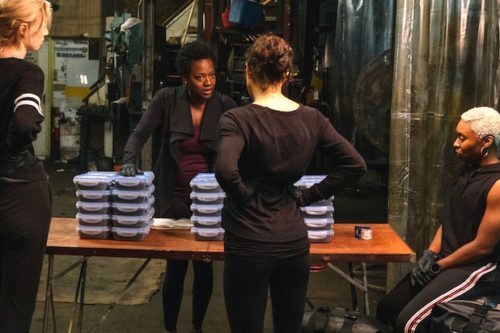 Speaking of content, Widows is based on a British TV movie from the ‘80s. And boy does it play like a TV movie. It’s like five percent a heist movie. The rest is a political/personal drama set in Chicago, where crooked politicians wrangle to get elected, and the good wives of four gangsters are hung out to dry when their men are sneakily ratted out and blown up by crooked cops. What’s left but to fulfill the last, unheisted heist of their dead husbands? Which heist just happens to be part and parcel of the crooked political shenanigans? I mean it’s all handled very professionally, the filmmaking. The dialogue is fine. The acting is solid. There’s an adorable dog on hand. You’d think it’d be a winner. But it just goes along without any real pacing or build. The heist plays like an afterthought to an afterthought. The twists are the kind you might find in, say, a British TV movie from the ‘80s. Are you really going to be surprised when (SPOILER!) Liam Neeson turns up alive? No. You are not. You are going to wonder why he did it, and why his next plan was to rob the guy whose side he’s ostensibly on, and how long will it be before Viola Davis shoots him, and blah blah blah, who cares? Theme-wise, great. Women whose lousy men have died stupidly empower themselves to become the successes their husbands never would have allowed. Or something, sorta kinda. But who are these women? We never get below the surface. We never get anywhere. We are bored, frankly, a little mystified, and hopeful McQueen gets back to business with his next film. glad I wasn’t the only one that found it disappointing.